The philosophical ideas of the American Pragmatist William James were in many ways foundationally based on a profound realization he had about the nature of human life. James grew up in an eccentric family of Irish Americans in the late 19th century. His father, Henry James senior, was a converted Swedenborgian who wanted the best possible education for all of his children, although he seemed to have a hard time making up his mind determining what that education should be. So Henry dragged his children from American to Europe and back again following educational opportunities and the whims of his children. The first educational program that William James actually completed was a medical degree at Harvard. Still, of Henry’s five children, one, William, would become one of America’s greatest psychologists and philosophers and another, Henry Jr., would become one of America’s greatest novelists. All of the James children were somewhat troubled and William was no exception. As a young man he suffered from frequent depression. During one occasion he was contemplating suicide when something occurred to him that would color all of his thinking. He realized that at a very fundamental level he was choosing what to believe and specifically, I imagine, he was choosing to believe that he had no choice in the matter of suicide. Realizing that belief was a choice he boldly decided to believe that he had a choice. William still suffered from depression on and off for his entire life, but he had come to a profound understanding of human nature. Human life is an act of faith. At the bottom of it all, we all take something to be true on faith. Some may believe in God, some may believe in the power of reason, some may believe in science, but everyone has to believe in something. Even if you believe that “you don’t believe” or that “you don’t know” those are still based in belief, because underneath both is a belief that “not believing” or “not knowing” is the best way to believe. Human life is an act of faith. To live we have to believe in something. Any choice that we make reflects some belief – and the choice “not to make a choice” is also a choice. So there is no way out. During the Modern Age it was increasingly believed that the discovery of the power of reason had taken humanity beyond the need for faith. We no longer need to believe in God or the word of the Bible. We now could use our capacity for thinking to come to an “objective” understanding of what is true. What happens if we look closely at the process of reason? Reason is the use of concepts to create an understanding of reality that allows us to explain, predict and control events. As reason and its particularly powerful application, science, developed through the second half of the last millennium humanity seemed to become increasingly better at explaining, predicting and controlling events. But how do we know that our reasoned scientific explanations of reality are actually “real”? because they work. If a scientific theory or a reasoned idea about reality stops working we assume it is false and we come up with a better one. So at any given instant we are taking our scientific understanding on faith. This belief in science was justified because there was a more fundamental belief in the scientific method. We believe in spite of the fact that many theories prove to be false that in general we are heading toward a more and more accurate representation of reality. That is why in the 20th century when reason and science played such prominent roles in events such as the Nazi Holocaust and the atomic bomb detonations on Hiroshima and Nagasaki, many people began to conclude that science wasn’t working. But the fact that it works is the only reason that we believe in it in the first place. If it doesn’t work, is it really true? Some had lost faith in science – not in its ability to predict and control events, but in its ability to lead humanity in a morally sound direction. To my mind science alone is not enough. Science cannot be our spirituality. Science needs to be coupled with some other belief about the nature of reality that can provide a direction for moral decision making. You might be a scientist and a Christian, a scientist and a humanist, or a scientist and a Nazi. All of these will lead to very different results. I believe that William James was realizing that every human life as a matter of definition must be based on a fundamental belief in something. And ultimately that belief is a matter of faith that cannot be proved through prior evidence. Science, religion, humanism, existentialism, agnosticism, skepticism, cynicism, hedonism, idealism, atheism – something has to be the basis for life. Underneath it all we all believe in something and that belief is not something that can be proved through evidence and therefore it is simply a choice that we must make and take responsibility for. Human life is a risk taken on faith. Indeed science is in search of truth, but doesn’t have too much to say about beauty and goodness. Science describes the “is” more than the “ought”. Over the last few weeks I have been struggling with the question of what is the role of spirituality. I knew that I felt stongly that it was important, but I couldn’t articulate why and it felt critical that I could. I downloaded an audip course on the history of Christian Thought in search of clues. And in the end what you have articulated is what hit me. Science tells you how things work, but it doesn’t tell you how to use them. Spirituality, in some form or other attempts to answer that question, and it is absolutely critical that it does. Over the last few weeks, I have been struggling with the question of what is the role of spirituality. I knew that I felt strongly that it was important, but I couldn’t articulate why and it felt critical that I could. Jeff, this is what I know about having a question burning inside of me that came out of no where, so to speak. When you put your attention on someone long enough, you pick up their thoughts, feelings, and behaviors, and they become your thoughts, feelings, and behaviors. Recently you returned from a spiritual retreat. Who do you have your attention on that attended that retreat? Figure it out, and give them a call to find out what is on their mind. I bet it is the same thing that is burning in your mind. You could possibly collaborate with them about this question of the role of spirituality. 2.What is the value of Spirituality? 3.What are the causes (or the consequences) of Spirituality? 4.What should (or ought or must) we do about Spirituality? 5.What is the evidence for my claims about Spirituality? Life really is very simple. I think it come down to the ‘Choice”,Simple choice between “Yes” ,”No ” to live. It’s subjective matter and beyond science or science useless in the face of one’s fundamental choice (although it backup the reason to live). I think there is the simple logic and the link between Faith of one’s life-Purpose, meaning of one’s life-Responsibility of one’s life-Yes(Love) of one’s life. It seems the perfect principle for human being to live life. For mundane example,The mother love the child-she take responsibility of the child life-It become her reason ,purpose and meaning of life-become faith . As Carl explained before “Taking responsibility is itself a product of evolution, as self-awareness, cognition, and ethical behavior evolved, the complex repertoire of prompting and managing one’s own behavior to achieve a desired consequence — be it personal or greater than personal — becomes a responsibility.” making sense more. Also,It make me realize the importance of the sensitivity,care and respect to other’s belief ,faith (one’s reason to live) and each one’s spirituality evolution with great care!!!! I felt so close to keen about William James’s experience and his realization what Jeff posted that at a very fundamental level he was choosing what to believe and specifically, I imagine, he was choosing to believe that he had no choice in the matter of suicide. Even one develop higher level of consciousness,if one’s love,responsibility and faith is not align or not up to one’s level of consciousness which means not following that principle,it will be the hell,disaster.it’s like a holly war between Good vs.Evil. One don’t love the universe-one can’t take responsibility of the universe-not have reason,purpose to live.”-become Destroyer,Devil indeed. Beautiful post Jeff, and I totally agree that science is not enough. How I see it is that from a certain point of view, real science cannot be separated from truth. When you really look into the structures of organic life and the endless creative ways it all weaves so intricately together, you kind of fall to your knees in awe. A true scientist I believe lives in a state of humility (not sure how many true scientists there are tho). As a former biologist myself, when I was studying and doing research, it really did take my breath away – the complexity and the sheer beauty and mystery of it all. And it was a source of spiritual inspiration. Rachel Carson, marine biologist and nature writer (wrote “Silent Spring”), once said something like “writing about the ocean could not possibly be anything other than poetry”. She was looking not from materialistic eyes, but from a much deeper and non-dual source within – where the mystery of it all was foremost. And that, I think is what needs to come first. Then science falls into its rightful place, and all its majesty can loom large, revealing everything about beauty and goodness. Science looks at how. Spirituality looks at why. Science creates from the idea of humans lacking something in their own lives. Humans are equipped with their own powers to do, have, and be anything they want if they had the faith to believe they could. The lack of faith in humans created the Sciences. Humans can heal themselves of illnesses, diseases, and broken bones. How much of the sciences would that eliminate? Humans have experienced getting from one place to another by a mystery car and driver. No need for ships, airplanes, and vehicles. How much of the sciences would that eliminate? Humans can make rain fall out of the sky whenever they want. How many lives would be saved and fires put out sooner than later, if enough people had faith they could make rain fall from the skies. The list of the things humans can do that would do away with much of the sciences is limitless. You gotta have faith you have the power within you to do, be, and have anything you want and to get anything need. Andrea, it has been my experience with many scientists, too, that humility is a common characteristic of the great ones. Because scientists are always looking into the unknown, they perhaps are often more aware of it than others. And when the nature of things reveals itself through empirical enquiry it is often, as the saying goes, far stranger and more miraculous than fiction. There is often the sense that what we know is only a tiny fraction of what could be known, and that life to some extent is a process of unfolding of the unknown. This is very much akin, in many scientists, to the attitude of the serious spiritual practitioner. How could one study the infinite complexity and order of the universe without being at times plunged into the experience of awe and mystery? I thought the definition of spirituality is the fundamental value of one’s reason to live. I think the core,fundamental value of individual is more articulate than spirituality. For example, one find the core value of science as to find the truth and reason to live. the reality is the reflection of consciousness and consciously choose to “yes” to life means to align to,or Thy will be done.be used for the ultimate mission of consciousness which want to create the image of that perfection and wholeness . which is based on unseen ,internal recognition of who I really am and belief of what Andrew say is what make most sense the relation between the experience of interiority and the experience of reality,one’s life. Love what you say here, Carl. I think this is very important. When you read the science writings of the “great ones” it is like reading philosophy or poetry. Science, like any other arena of rigorous learning, is not that different from philosophy I have found. 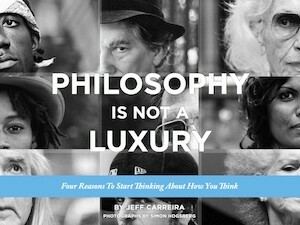 Because just like with philosophy, there is no end to it. Answers merely lead to more and deeper questions. Sadly, like with any other discipline, the true science gets corrupted by materialistic or reductionist intent (ego). It’s that knowing, grasping, mentality which blocks true and innocent inquiry. And when this happens, unfortunately far too often, the whole field gets a bad rap — like the bad car mechanic phenomenon — and the more profound dimensions of science remain unseen. How tragic is that? Oops – that was me above. I forgot to put my name. Science which has ruled since what–the Age of Enlightenment, since the Scientific Method became so accepted as end all of truth ?–that the mindset of a large part of humanity has become dismissive of spirituality, metaphysics and transcendence. Now we are seeing that more and more are seeing that aetheism and spirituality are compatible, that it’s totally possible to be “good without God” and that “organized religion has often gotten in the way of God”, so to speak. This seems to be the fastest growing aspect of (un)belief now current, as I understand. For me there can be no question but that spirituality which has been rather ignored esp by educated folk too cool to entertain any consideration of its being a part of the human makeup is now gaining ground in restoring a balance long denied by the hegemony of the scientific and academic communities that demands that truth be proven by instrumentation. I believe this turn of events is a healthy development in a more holistic humanity. I’m noting that many of my comments are the unanswered tail ends of many of long-standing threads. Am I scaring others off or has the thread simply expired?